The Wildwoods' three powerhouse social media accounts are coming together for a great cause! Join the "Wildwood Boardwalk," "Wildwood 365" and "Watch the Tramcar Please" as we look to help the Children's Fresh Air Home reopen its doors. For nearly a century, the Children's Fresh Air Home, located at 1100 Surf Avenue in North Wildwood, provided safe haven and a summertime experience for over 20,000 disadvantaged children in the Philadelphia/South Jersey region. Pre-1950's postcard; Lynn H. Boyer, Jr. The work of the home's founder, L. Ida Dukes, started in 1896 when the 41-year-old mother of six began inviting children whose families were unable to afford a summer retreat from city life for a day of fun along the Delaware River. 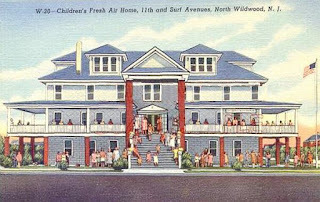 In 1911, Dukes brought her first group of children to Wildwood and in 1923, the Children's Fresh Air Home was born. In the decades to follow, a succession of superintendents, counselors and volunteers would continue the outreach. However, by 2006, the aging structure was in critical need of repair. Work began, but was subsequently halted due to a lack of funds, and the difficult decision was made to temporarily close the home. It has sat, an empty and inoperable shell, since then. Later this year, the Children's Fresh Air Home will apply for a $300,000 grant for a rehabilitation project through a Small Cities Community Facilities Grant - with the support of the City of North Wildwood. To qualify, the organization must raise matching funds of $300,000. 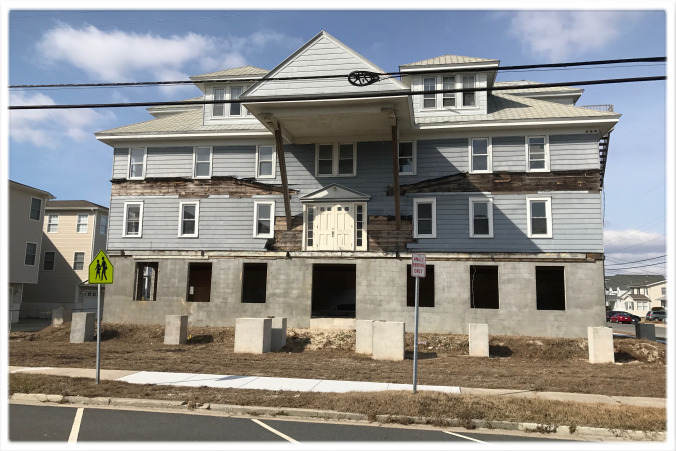 THIS is where we need YOUR help, as the combined $600,000 would finally enable the renovation of the home, and enable its rebirth. Join us as we broadcast our crusade to save the Children's Fresh Air Home to the world! Please consider a donation to our GoFundMe campaign (link listed below). We understand that money can be tight, but even the donation of a dollar can help us on our way. You can also help us spread the word by sharing our informational video (also cited below). Every share of the video will not only help raise awareness of the Children's Fresh Air Home's history and importance, but increase the chances of reaching those who can help the most. Let's join together to ensure that the work and legacy of the Children's Fresh Air Home lives on in the Wildwoods for generations to come.